congatec - a leading vendor of standardized and customized embedded computer boards and modules - showcases its new modular airborne computing platforms for connected aircrafts, passenger infotainment, and augmented reality applications at Aeromart Toulouse (hall 6, stand B24-C25). Designed for converged edge servers in aircrafts, the new COM Express Type 7 Server-on-Modules are a perfect fit for content delivery applications to seatback screens and passengers' mobile devices, as well as for predictive maintenance and other Big Data applications, video surveillance, and cloud based flight data recordings. The platforms are also ideal for augmented reality applications in aviation to optimize the navigational capabilities in low visibility areas, and are further applicable in AI-based virtual assistants for improving pilot productivity and efficiency as well as enhancing passengers' flight experience. "New technology trends such as the IIoT and 5G over satellite are disrupting or will in the near future disrupt many IT setups in aircrafts. Aircraft edge servers will play a major role in this scenario, both in linefit and retrofit applications, and will afford airlines, crews and passengers with a great variety of new services," explains Christian Eder, Director Marketing at congatec. 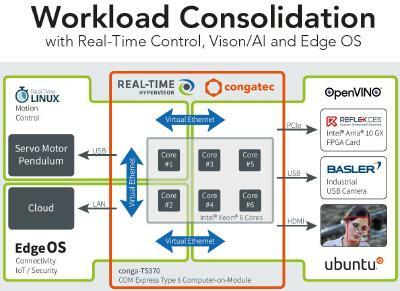 "With Server-on-Modules, engineers can tailor the performance of their virtualized aircraft edge servers perfectly to the given needs, and simply as well as efficiently scale the core performance in closed loop engineering cycles by swapping modules." 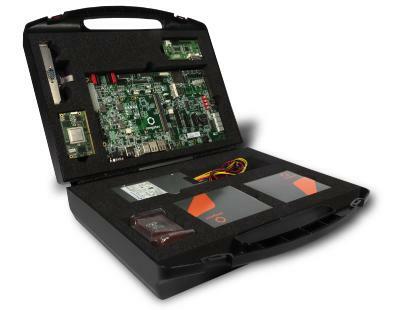 The new edge server platforms for aircrafts are based on the COM Express Type 7 Server-on-Module standard specified by the PICMG and are equipped with Intel Atom, Pentium and Xeon processors. They meet all requirements for operating in harsh airborne environments, including support of the extended temperature ranges as well as high shock and vibration resistance. Providing optional coating for humidity resistance, they are qualified to meet extended environmental standards. 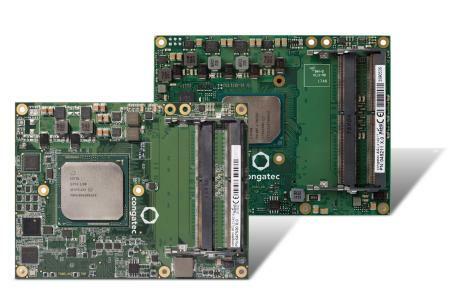 Engineers utilizing these COM Express Type 7 Server-on-Modules benefit not only from an application ready processing core that simplifies the design-in of the latest technologies, but also from the complete congatec premium support package for OEM designs. One of the company's greatest strengths is the extensive expertise and passion of its entire team who are dedicated to helping customers day by day to bring their new products most efficiently to market. 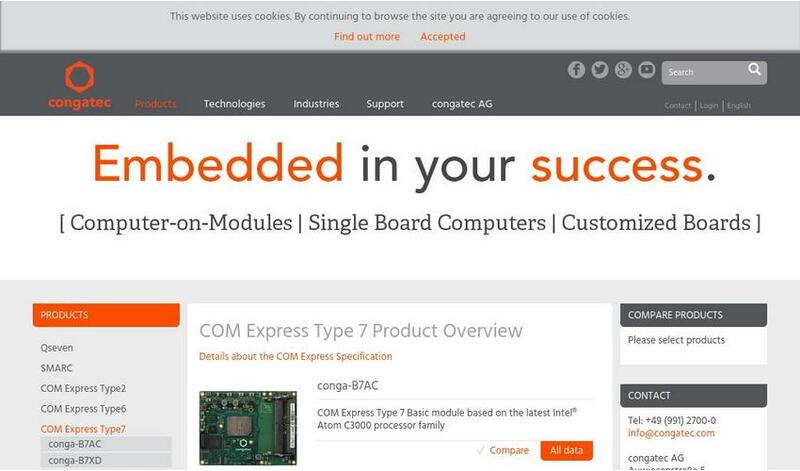 congatec is a leading supplier of industrial computer modules using the standard form factors COM Express, Qseven and SMARC as well as single board computers and customizing services. congatec's products can be used in a variety of industries and applications, such as industrial automation, medical, entertainment, transportation, telecommunication, test & measurement and point-of-sale. 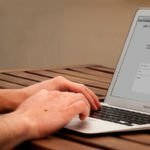 Core knowledge and technical know-how includes unique extended BIOS features as well as comprehensive driver and board support packages. Following the design-in phase, customers are given support via extensive product lifecycle management. The company's products are manufactured by specialist service providers in accordance with modern quality standards. Headquartered in Deggendorf, Germany, congatec currently has entities in USA, Taiwan, China, Japan and Australia as well as United Kingdom, France, and the Czech Republic. More information is available on our website at www.congatec.de oder bei Facebook, Twitter und YouTube.